As per central RERA Act, Every state has been asked to establish an Appellate Tribunal, within a period of one-year from the date of coming into force of this Act, to be known as the Real Estate Appellate Tribunal. 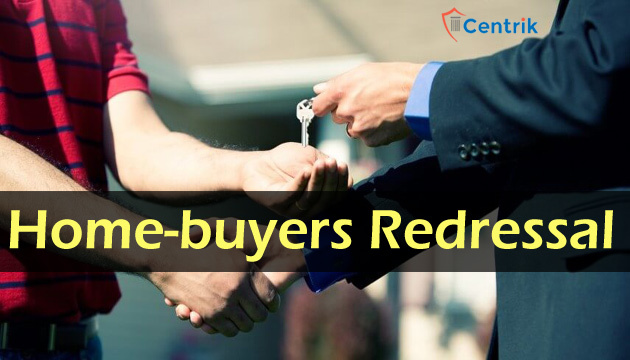 Since No Tribunal has been established till now, The Maharashtra Real Estate Regulatory Authority (MahaRERA) has decided to form nearly 15 conciliation teams comprising two members each, one from realty developers’ industry body and another from consumer forums representing homebuyers. Of these, 10 conciliation teams will take care of matters related to homebuyers from the Mumbai Metropolitan Region (MMR), while the rest five will be for the Pune real estate market. “For now, we are setting up conciliation teams for MMR and Pune as most of the complaints we are receiving from homebuyers are for projects from these markets. If necessary, we can create separate teams for other key cities later on,” MahaRERA chairperson Gautam Chatterjee told ET. Members of realty developers’ associations, including pan-India bodies such as National Real Estate Development Council (NAREDCO) and the Confederation of Real Estate Developers Association of India (CREDAI), apart from state level body the Maharashtra Chamber of Housing Industry (MCHI) will be part of these benches. The bench will have members from voluntary consumer organization Mumbai Grahak Panchayat to represent homebuyers. “We are in the process of setting up an Alternate Dispute Resolution mechanism through these conciliation committees, and are optimistic that we will be able to start operations from January 1,” said Shirish Deshpande, president of Mumbai Grahak Panchayat (MGP). Under this mechanism, homebuyers’ complaints against builders can be resolved through a consensus. If there’s no consensus, the homebuyer will have the option to lodge a formal complaint against the builder in MahaRERA.